Live Dance Band Music for your Special Event! RUDY and the Professionals are a high energy performance cover band specializing in a variety of styles. As a headliner from the Bahamas, we also specialize in Caribbean music. So, if you’re looking for Top Ohio Music Entertainment for Cleveland, Pittsburgh, Columbus and the surrounding areas, give us a call. Our Cleveland Ohio Band performs live music for weddings, parties, corporate parties, festivals, fairs, and private events throughout Ohio and other surrounding states. 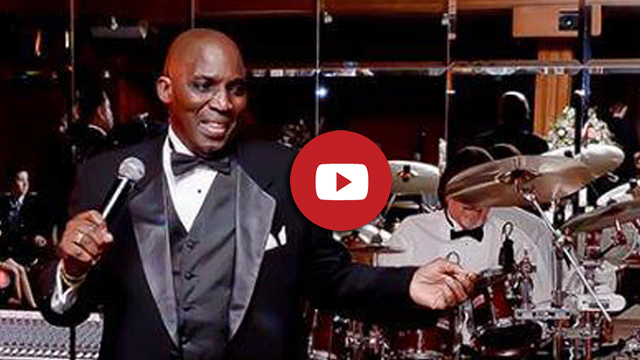 Rudy and the Professionals perform live music entertainment as a Cleveland Wedding and Party Band, in addition to being a Pittsburgh Wedding and Party Band that brings true interaction with guests for the most memorable music experience. We have our own Emcee for all music events and occasions, and if you’d like to include our steel pan player, just ask. Call us for the absolute best Ohio Dance Band and wedding band. Let Rudy and the Professionals entertain at your special event and bring a taste of the Bahamas to your special day! As a Headliner, from the Bahamas, we not only provide wedding entertainment, but are also a Caribbean and Reggae Band. So whether you want an all dance band, wedding band, party band, or Caribbean band, we have it covered! For the most energetic performance that will last a Lifetime! Want to add a steel pan player? No Problem Mon! Rudy and the Professionals is a premier Cleveland wedding band. Book us for your wedding reception and we will make your wedding night full of entertainment for everyone.